I’ve been surprised in both of my classes how many of you adopt a rather unsystematic approach to problem-solving. This week’s homework focuses on a neat, organised approach. Your task is to do question 6 from the last handout. You may have already done it in class, but this task is all about presentation, so please do it again. Statement of required precision in the final answer (significant figures, or decimal points if the question says so). Intermediate results quoted with 2 extra significant figures. Two statements outlining the method that you will use to solve the problem. 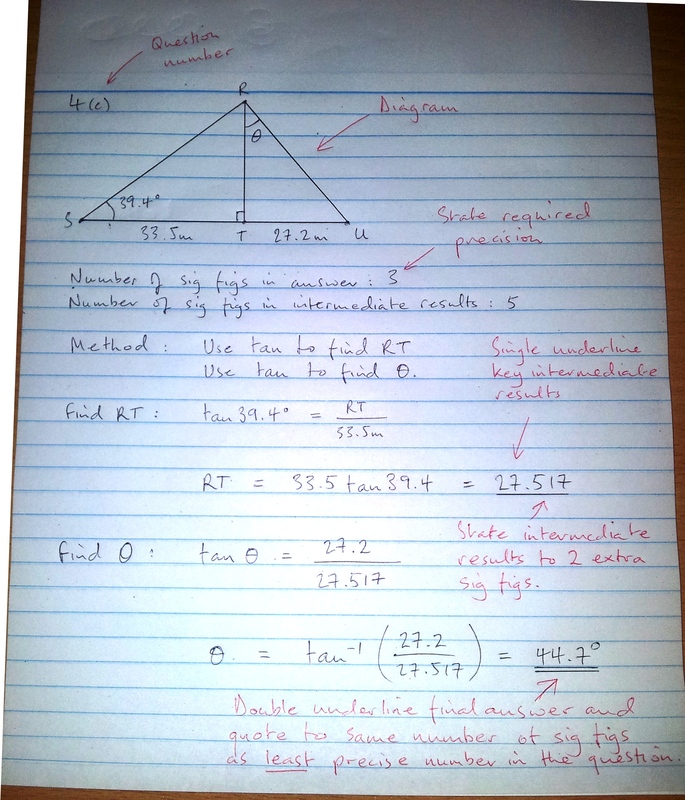 Clear working with intermediate results single-underlined and the final answer double-underlined. I will check this work in class next week. It needs to be hole-punched and in your maths folder. If your work is incomplete, or scrappy, or you haven’t used a ruler, or you haven’t put it in your folder, then I will ask you to do it again during tutorials. Previous PostIB Computer Science Mock ExamNext PostDid you know?